Charlie Haden once famously said, "We're here to bring beauty to the world and make a difference in this planet. That's what art forms are about." This Tuesday, May 31st will be my 20th birthday. As a milestone in my life, and as I move on from my teenage years, I wanted to reach away from talking about jazz, to talking about world issues that we can help through jazz. Every child wants to change the world. We all start out with big dreams: to be an astronaut, to be president, to fight for world peace. Yet, somehow in the middle of growing up we are tricked into thinking we are not able to create change. We are taught that one person cannot make a difference, so why try? We go through the motions in order to be liked or to fit in, imitating the same apathy that we know cannot solve the problems we want to solve. We mimic advertisements and fall into consumerism. Somehow we believe that normalcy is more important than what's right. That it is more important to be popular than to stand up for something against the grain. And all along we feel stuck and unknowing of how we can do anything. Yet, what I want to share is that we all can make a difference by standing up for what we believe in through our everyday lives. Throughout history jazz musicians have held a light to important social issues including segregation, political corruption, illnesses, war, inequality, violence. Musicians such as Billie Holiday, John Coltrane, Nina Simone, Charles Mingus, Charlie Haden challenged the status quo to bring up important social causes even if they invited criticisms. In this way, for my 20th birthday I wanted to share issues that I care about along with some jazz songs that have been used to challenge political and social systems. Veganism is a stance that animals are not here on this planet for humans to exploit for food, clothing, testing, entertainment or any other purpose. People become vegan for numerous reasons, including animal rights, environmentalism and health. Watch the Best Speech Ever by Gary Yourofsky to learn more about this stance of nonviolence. Listen to "Strange Fruit" sung by Billie Holiday. "Stange Fruit" was written by Abel Meeropol as a poem to protest American racism, particularly the lynching of African Americans. In 1978, Holiday's version of the song was inducted into the Grammy Hall of Fame. Climate change, deforestation, fossil fuels, waste products are destroying the environment while species are rapidly becoming extinct. In fact, if we keep on over-fishing at the same rate, there may be fish-less oceans by 2048. Visit the Cowspiracy webpage and Greenpeace for more facts about the environment. 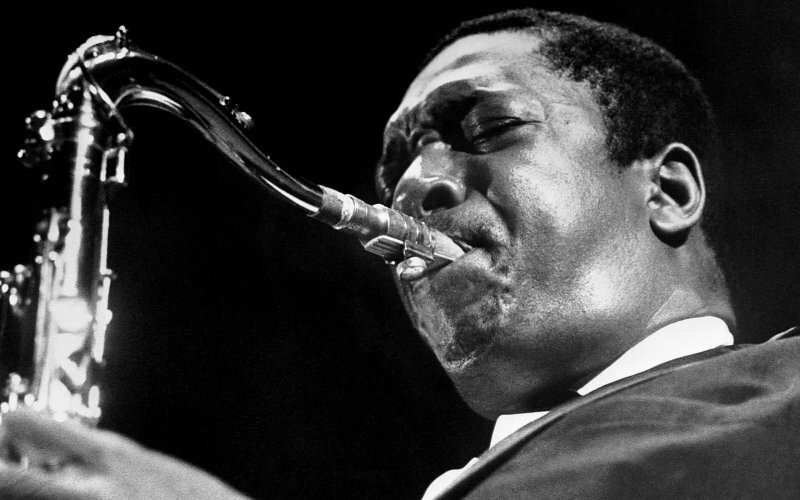 Listen to "Alabama" by John Coltrane. 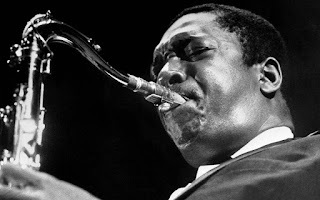 Coltrane wrote this song as a response to the 16th Street Baptist Church bombing by the Ku Klux Klan in Birmingham, Alabama that killed four girls in 1963. Millions of humans suffer from undernourishment: 1/7th of the world suffers from hunger. Poverty is a major cause of hunger in addition to animal agriculture: The world produces enough food for 10 billion people, yet feeds billions of animals for livestock every year. Read this article to learn about the link between veganism, world hunger, worker's rights. Also watch 101 Reasons to Go Vegan and visit the World Hunger website. 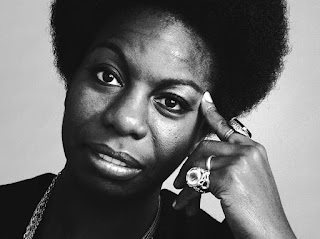 Listen to "Mississippi Goddam" by Nina Simone. The song captures Simone's response to the murder of Medgar Evers in Mississippi; and the 16th Street Baptist Church bombing in Birmingham, Alabama. "Mississippi Goddam" became a civil rights anthem, and Simone performed the song in front of 10,000 people at the end of the Selma to Montgomery marches. Racism, homophobia, transphobia, sexism, agism, ableism, classism, and religious intolerance are some of the issues separating the world. Visit the United Nations website to learn more about human rights. Listen to "Haitian Fight Song" by Charles Mingus. Mingus said he wrote this song while thinking about the injustices in the world, and because of the success of the Haitian Revolution in ending slavery and French colonialism. Haiti was used as a symbol of resistance to injustice. We all share the ideal wish for world peace: A world without intolerance, violence, war, terrorism, bigotry, hostility. Visit the United Nations website to learn more about international peace. 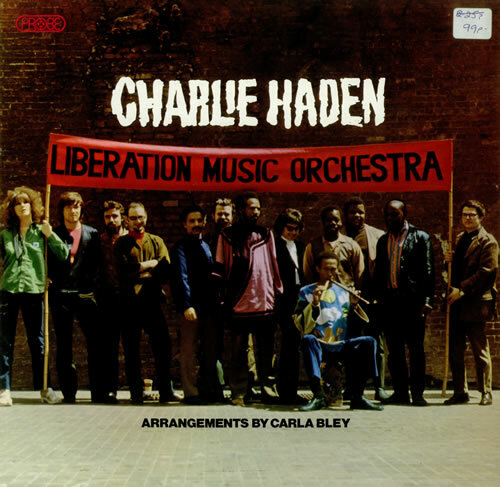 Listen to "Ballad of the Fallen" by Charlie Haden & Carla Bley and the Liberation Music Orchestra. Haden wrote this song to comment on the Spanish Civil War and the U.S.'s involvement within Latin American countries. 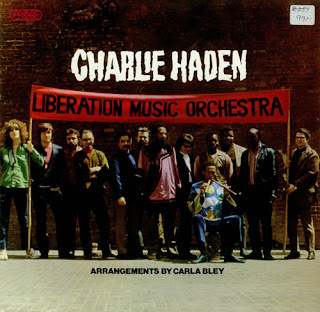 Haden started the Liberation Music Orchestra during the height of the Vietnam War. With our unique talents and insights, we all have so much to offer to solve a host of problems throughout the world. Our quest for kindness, equality, peace and justice starts within and will be echoed not through prayer, but through deliberate action across each of our lives. As I enter my 20s I feel invigorated to bring positive change and beauty to the world through my love of jazz and advocacy.